Lean Thinking: Is Our Thinking Up to the Challenge of the 21st Century? Is Our Thinking Up to the Challenge of the 21st Century? In an earlier blog I asked the above question. I'd compared our situation in 2013, with that of the designers, engineers and managers of the Titanic, a century earlier. I suggested that we, too, we unprepared for our century's management challenges. I've dedicated myself to deepening & extending our mental models. I'd like to help teach the thinking way I was so fortunate to learn. In my view, our deepest and most common management dysfunction is in our treatment of people. We are very good at managing Financial and Physical Assets (Capital), and a good part of the curriculum of business and engineering school focuses here. This is necessary, of course, but is it sufficient? In a world dominated by Google, Apple, Facebook and Amazon, isn't Intellectual Capital even more important? Yet, we manage people, the source of our Intellectual Capital, in haphazard or even plainly foolish ways. 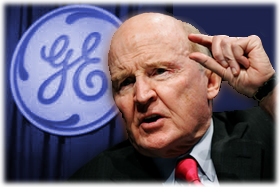 Jack Welch famously said that Human Resources are the most important department. Jack took some heat for it, but, as usual, he was prescient. The world's best organizations invest heavily in their people. We'll invest in you, make you more skilled and employable, and give you a job for as long as you want it. Taiichi Ohno's Respect for People concept, remarkable in the late 1940's, with WWII's scars still open, is an early expression. In blogs to come I'll dig deeper into how we might manage Intellectual Capital better. Again, please forgive the accounting jargon, but we need to learn to talk to the CFO.